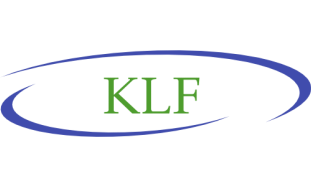 ​The Kline Law Firm, LLC, specializes in representing families regarding the Individuals with Disabilities Education Improvement Act (IDEA), 20 U.S.C. §§ 1400, et seq., Section 504 of the Rehabilitation Act of 1973 (Section 504), and the Americans with Disabilities Act (ADA). The attorney founding the firm, Aric M. Kline, Esq., has well over a decade of experience representing Georgia’s largest school districts in IEP team meetings, Section 504 team meetings, and due process hearings. He understands the intricacies of the law and what the law can provide your child. Importantly, the Kline Law Firm, LLC, provides your family with a competitive insider advantage as to how and why school districts make their decisions regarding your child. The Firm’s education expert and parent advocate, Dr. Elizabeth Morris Turnage, served as a public school educator and a senior special education administrator for over twenty-six years. She has trained public school special education teachers and administrators and has authored multiple protocols and policy manuals concerning compliance with IDEA and Section 504. Strong advocacy for your family and your children is the touchstone of The Kline Law Firm, LLC, and the passion that compelled us to begin a law practice that will guarantee that your child receives an appropriate education within your public school district. The Firm provides a perspective for your family that other law firms lack. We have worked exclusively with school districts and understand (1) why they make their decisions, (2) the resources school districts possess, and (3) why school districts may disagree with you as to what constitutes a free appropriate public education (FAPE) for your child in the least restrictive environment (LRE). Though special education laws are complex, our mission is simple, to advocate for your special needs child under IDEA, Section 504, and any other responses to intervention offered by your school district. The Firm provides a competitive edge as both Mr. Kline and Dr. Turnage, served school districts for years, know the intricacies of school district special education resources, and understand why school districts make decisions for your child regarding what constitutes FAPE in the LRE for special education students. Our mission is to ensure that all students with special needs are appropriately served in the public school setting, and, if necessary, in a private placement at public expense. The Kline Law Firm, LLC, and its employees know that the best opportunity at resolution is at the table of an IEP team meeting or Section 504 team meeting. The Firm’s focus is to preserve a positive and long-lasting relationship between your family and your school district. Should resolution not be reached and should your family seek additional assistance at pre-trial mediation, due process hearings, through a Georgia Department of Education Complaint (GaDOE) or Office of Civil Rights (OCR) complaint, the Firm also specializes in conflict resolution and litigation.